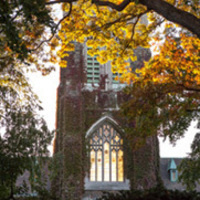 This information session is specifically about Lehigh's Integrated Degree in Engineering, Arts, and Sciences (IDEAS) program, a unique opportunity to combine multiple programs of study in Lehigh's College of Arts and Sciences and the P.C. Rossin College of Engineering and Applied Science. Sessions are offered on select days throughout the year.